Cooking with happy call pan is very nice for me, it's so easy and quickly. Besides that, make a healthy food is now easy because we can cook without oil , like cook egg, fish, chicken meat and so on. 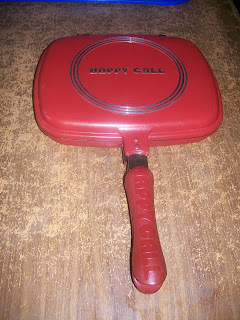 Here are some Happy Call Recipes that I got when I bought a Happy Call Lejel pan. Try this happy call recipes for your family, lets cook ..